It's happening... I'm putting an offer down on a townhome tomorrow. Three hundred and sixty (expletive) thousand dollars, at the remotest end of feasible. There's no guarantee that I'll get it for that much; they're asking $400,000. That's just way too much, though; that's tens of thousands more than a unit in the same condition about 20% larger sold for just last year. My agent and I both did our own investigations and math, and both came out to $360,000 as the top value for this place. So, negotiations will be interesting. I've never exactly negotiated a difference of $40,000. Out of homes in this area that are actually within my price range, it's pretty much my dream home. 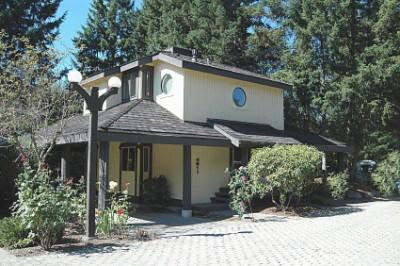 A few blocks from Microsoft, it's a free-standing townhome, which basically makes it like a small house, except I pay someone else to take care of the yard and the exterior maintenance, and I get access to the clubhouse and pool and gym and such. It's got three bedrooms, more than I need, and two bathrooms, and it's on a cobblestone road in a strangely secluded little area. The inside is reasonably spacious at 1150 square feet, though it's pretty old and ugly. 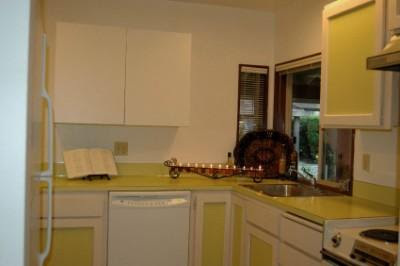 The kitchen is pretty hideous, decorated in dingy yellow and off-white, with a stove that looks like it's from 1960. I'll probably end up replacing just about everything in the kitchen once I get settled in and deal with the high-priority things, like lack of air conditioning. It meets or exceeds just about everything I'm looking for in a place, so I decided that if I could get this one, I don't even need to look at any more. (I've only toured about ten places so far, though I've checked out a couple dozen more online.) I can see myself living there. I can't wait to see what happens next. Just curious - how long has it been on the market? That can show you how likely the owners will be to accept a price lower than they are asking. Since last year. So, I'm hopeful. Looking into houses is a cool experience. Congrats. But wouldn't you like the whole haggling process to go away? Cars too. Why can't buying a car or a house be like buying a bag of Doritos: there's a price tag on it, that's how much you pay. You don't argue with the cashier at Target that you want 40 cents knocked off Doritos because similar snack chips are marked as such. As a social mechanic that favors the extroverted, I would like the world better if there were no haggling.